Gatefold cover, with small barcode on back, near top left corner. 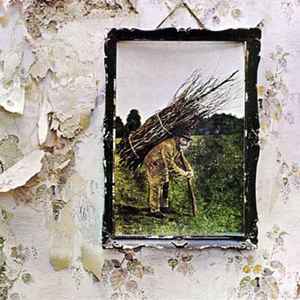 On spine is printed "Led Zeppelin / IV". Red-green labels with "IV" on top and "Led Zeepelin" on bottom. The b/w inner sleeve has "Stairway to Heaven" lyrics on one side, and track listing/notes on other one. Possibly released on early/mid 80s.